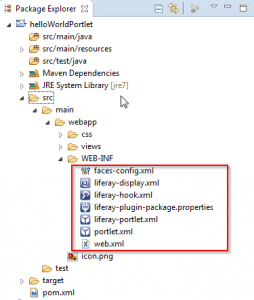 These files are automatically generated if you use the eclipse Liferay Plugin and are located under WEB-INF folder. Where these files are located ? Let’s detail each file ! Defines the name of the porlet. Must be unique in the Liferay Project Plugin. 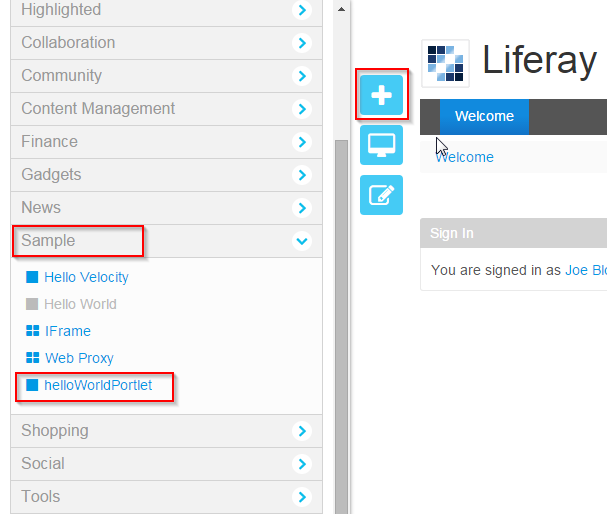 The name of the portlet that will be displayed in the Liferay Portal. The portlet display-name can be different of the portlet-name and don’t need to be unique. Defines the Fully Qualified Name (FQN) of the portlet class that handles invocations to the portlet. Specifies the initialization parameters of the portlet. For example, the default page view. Specify the cache expiration time of the Portlet. Value in seconds and -1 indicates that the cache never expires. Supported mime-type. Supports also indicates the portlet modes a portlet supports for a specific content type. All portlets must support the view mode. Defines the security level of the Portlet. In Another word, which role can access/see the Portlet. After the Portlet definition in the Portlet.xml comes the Portlet registration. The Portlet registration is done in the Liferay-portlet.xml file in which we tell the Liferay Portal to use the Portlet we defined. Many properties are definable in this file : Css and Js files required for the Portlet, if whether the portlet can appear multiple times on a page or not, trigger a job for scheduling and much more. A complete listing of this file’s settings is in its DTD in the definitions folder in the Liferay Portal source code. The portlet-name element defines the canonical name of the portlet. This needs to be the same as the portlet-name given in portlet.xml. Relative Path to an image that will be used as an icon for this portlet. Indicates if the Portlet can be used more than once on the same page or not. False is the default value. The portlet will only process namespaced parameters. The default value is true. If the portlet can be displayed via Ajax or not. Default value is true. The path to the .css file for this portlet to be included in the header of the page. The path to the .js file for this portlet, to be included at the end of the page. the “id” of the “portlet” property must match the portlet-name defined in the portlet.xml file. Without the definition, portlets will be organized under the “category.sample” category. If you want to hide a deployed portlet from the Add -> Application window, declare it under the “category.hidden” category in the Liferay-display file. A system portlet (the property system set to true in the liferay-portlet.xml) will not appear under a category even if the liferay-display.xml is well configured. Specify all JARs the plugin requires. These JARs are copied from Liferay Portal’s “lib” folder to the deployed plugin’s “lib” folder during deployment. Specify other plugins that depend on deployment of this plugin. Some plugins require this in order to rely on services and features provided by other plugins. In this file, you can create hooks. What is a hook ? 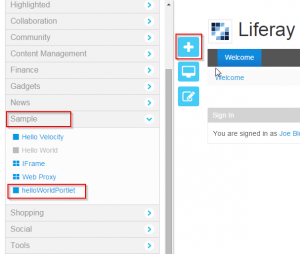 A hook is a tool allowing you to extend the Liferay portal core features. By creating a hook, you will have the ability to override some of the native Liferay functions as for example, performing custom actions on portal startup or user login, overwriting or extending portal JSPs, replacing a portal service with custom implementation and updating struts actions, servlet filters, and servlet filters mappings. You can see all portal properties that can be overridden via a hook in the liferay-hook_6_2_0.dtd. Since we use JSF with Liferay portlet a web.xml file is generated. It’s the deployment descriptor that describes resources and configuration of the application and how the web server uses them to serve web requests. 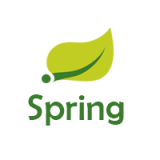 Is to use the Jboss implementation of Expression Language. Instantiate the FacesServlet on the startup of the application. File generated and used by JSF for multiple purposes. Faces-config can be used to set up navigation rules, declare beans if you don’t want to use annotation, register validators and so on.